To regulate or not regulate social media….can we agree? 18 February 2016 saw Uganda go to the polls for the general election. On Election Day for Presidential and Parliamentary candidates – I noticed at about 9:00 am that I was unable to use Twitter or Whatsapp. I thought that it was one of those days when the Telecom decides to be slow. Has happened before. An hour later, I get a call from a colleague who says – let me sms you a code that you can download. Code? Didn’t understand. And yes – it looked like a code – Vyprvpn. The last thing on my mind that morning was a virtual private network. After setting up my network in Argentina, I went to Twitter and my Twitter feed was ablaze! “Who does the government think they are?”, “ How dare they?” , “This is unacceptable”– It was then that I got the gist of what was going on. 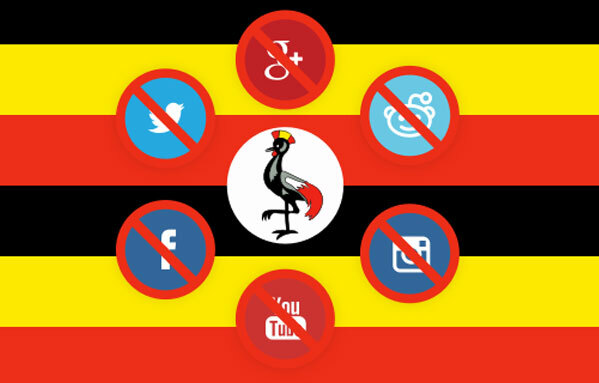 Social Media platforms had been disabled by the Uganda Communications Commission in collaboration with all the Telecommunications companies in Uganda. Long story short – the ban lasted up to 72 hours. Interesting to note was, how everyone became a digital security expert in such a short while. The VPN talk is not the kind that you have over coffee every morning. But now all of a sudden- everyone was talking about it. According to irinnews.org, up to 1.5 million VPN downloads were made by people in Uganda. That essentially makes up Uganda’s active Social media population. When I noticed #BBCAfricaDebate – the first thing I thought to myself was: Ugandans must be leading the conversation. But there weren’t as many as I had anticipated. Using the hashtag were different people from mostly Africa – the views were varying with quite a number yes to regulation. And I found that interesting. @bartlettdaron Regulation is, theoretically correct but practically, the definition of right or wrong will vary from gov’t to gov’t! And I thought these were rather interesting points. There are people that strongly believe that Social Media should be regulated and are brave enough to tweet/talk about it. However after all has been said and done – I think this is something that we can all agree to disagree on. The Uganda Communications Commission said that it was switched off due to security related reasons. Towards the end of last year – legislators in Nigeria debated the Social Media Bill. The Proposed Social Media Law includes up to 2 years in prison, a fine of $10,000/- or both for anyone posting an ‘abusive statement’ via Text message , Twitter, Whatsapp or any other form of social media. Obviously, this was not well received. And with Nigeria – you would think that the law makers would know better since Social Media won them an election. The governments have each got their reasons as to why they are regulating Social Media. The people are saying – it is infringing on their rights as citizens. And this is a conversation that we are yet to have enough of because we are just getting started. And I am made to wonder : Is it a question of culture? That in African tradition – the leader talks while you all keep quiet and listen ? Are the present day youth on Social Media the definition of what in my language is called ‘endeme’? Loosely translated ‘stubborn’ or ‘big headed’ ones ? But the reverse is also true. The government could be taking on that role by attempting to muzzle social media and refusing change brought to us by technology and innovation. There are so many questions. But I think that I wholesomely agree that – this is a topic that we in the online space – may never get to agree on with our beloved governance structures. I think it would be fair to look at this as media. Are other forms of media regulated? If so, maybe it needs to be regulated. If it is a form of communication, then regulation is tantamount to gagging. I’d like to share my views freely. I do not know about propaganda-ists.